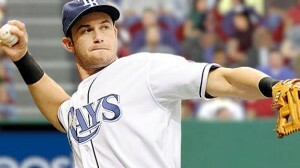 After signing a 100 million dollar contract extension, Tampa Bay Devil Rays baseball player Evan Longoria hampered by a chronic hamstring injury, underwent surgery to remove scar tissue. Chronic injuries or acute injuries that do not heal properly may lead to abnormal tissue repair, resulting in scar tissue formation. Tissue that heals properly will replace tissue with normal tissue. In the case of a torn hamstring, the desired tissue is healthy muscle, not scar. Scar tissue in the hamstring can result in loss of mobility or lead to further injury when an athlete generates force within the muscle. Professional athletes are more apt to have surgery on muscles and tendons if they feel their optimal performance is affected. Alternatives to surgical treatments for chronic muscle and tendon ailments have included Regenerative Medicine therapies such as Platelet Rich Plasma (PRP). Hamstring, achilles tendon, and quadriceps injuries are common lower extremity injuries treated with PRP. Upper extremity injuries frequently treated with Platelet Rich Plasma (PRP), include Tennis Elbow (lateral epicondylitis), Rotator Cuff Tears, and Bicep tendon injuries. Platelet Rich Plasma (PRP) may provide a viable treatment option for injuries that are resistant to healing, as an alternative to surgery, or to assist in a more recovery from athletic injuries. 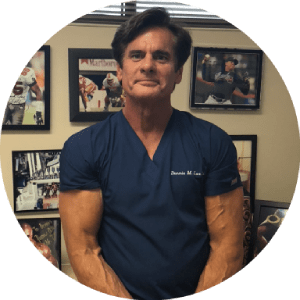 The Regenerative Medicine applications of Platelet Rich Plasma (PRP) may provide athletes more treatment options, as evidenced by the numerous elite athletes who have opted for PRP therapy for their injuries. Long term ramifications in preventing arthritis, are also valued in seeking Platelet Rich Plasma (PRP) as a therapeutic treatment. Hamstring injuries and other chronic musculoskeletal disorders benefit from this use.